Let’s face it, corporate recruiters and agency recruiters aren’t exactly in love. Agency recruiters call them paper pushers, job posters, interview clerks, and agency recruiters who couldn’t hack the real world. Conversely, the names for agency recruiters: fly-by-nights, coldcallers, arrogant ignorant jerks, you know, nice stuff like that. The relationship between the two sides is at the stage of… gluing shards of glass to their gloves before stepping out into some dark alley. Because no one needs extra scars, we’re doing a series of posts on the best parts of what each profession can offer the other. This article is about some good lessons that talent acquisition can take from one particular set of agency recruiters, executive recruiters and headhunters. The difficulty with executive recruiting is that both sides of the hiring coin (candidate and job requirement) are extremely difficult to find. Once you reach a certain executive management level, there is a necessary scarcity of “jobs at the top.” If you’ve lost a 300K job before, you know how difficult it is to find another 300k job. In fact, executive jobs are so difficult to find that relocation and year long job hunts are the assumed norm. Executive recruiters earn their living from tracking down these jobs and convincing the client they are the right ones to find, negotiate with, and secure top talent. With the scarcity of executive level jobs and the national scope, you can imagine how competitive the executive recruiting industry is! Compounding this difficulty is the availability of top talent. As anyone who has done executive level recruiting can attest to, top employed candidates are usually very willing to talk to recruiters and are often quite transparent in their desire for additional compensation and responsibilities. Especially in the current market, executives more than any other level of professional tend to be open to conversations and networking. Sourcing candidates at the executive level is not at all similar to sourcing specialized professionals: executives are normally publicly searchable and well known. However, finding the candidates is not what causes the difficulty in the search – it is the specificity and complexity of the job requirements. Typically, not only must the budgets, management experience, and industry match up exactly, but the subjective skills of presentation, management style, and attitude must be dead-on as well. Executive recruiters can only solve this dual-scarcity (client requirements and qualified executive talent) through a combination of high volume networking, cross selling, and non time-based sourcing. Corporate talent acquisition can use both of these methods in their recruitment efforts as well – so what are these three principles that successful executive recruiters follow? High-volume networking: Professional executive recruiters understand that the quality of recruitment communications and networking must be very high, but also that the volume and consistency of that networking must be high as well. With a tremendous scarcity of executive job requirements and very specifically qualified executives, executive recruiters must cast a very wide net. Their reach must usually be national if not international; they must cross industries even if they recruit inside one industry. Executive recruiters measure themselves not by input (candidate applications) but rather by output (how many real executives have I talked to today.) Executive recruiters understand that great networking not only a function of quality, but also a numbers game. Application to corporate recruiting: Corporate talent acquisition often suffers from lack of resources and time – two requirements for high-volume networking. However, corporate recruiters should be careful to keep their outbound efforts consistent and strong. With a higher volume of incoming requests than their agency counterparts, corporate recruiters can very easily fall into a trap of managing incoming requests. Great networking and recruiting requires a high level of generated activity – corporate recruitment professionals should carve out their schedule to include outbound efforts. Cross selling: As executive recruiters understand networking to be partially about volume, they also understand the necessity for cross selling and recruiting. They do not have the time to engage with clients for executive requirements AND source candidates. In particular, many executive recruiters run “360″ desks performing both sales and recruiting functions. The trick in executive recruiting is to make the most of each call contact and to perform a dual function with each call. Each candidate that an executive recruiter speaks with is also a potential source of a new job requirement – each client they speak with is a potential candidate. Cross selling or cross functional networking is the only way an executive recruiter can be successful, in particular if they are running both sides of a recruiting desk. There is simply not enough time in the day to divorce the two sides of the recruitment equation from each other. Application to corporate recruiting: As corporate recruiters increase their outbound efforts and even look to improve their management of incoming applicant requests, they should look to serve multiple functions with each call. 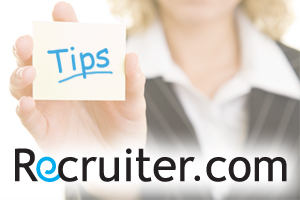 While a corporate recruiter is not looking to generate a job order from a candidate, they are looking to generate additional candidates through job referrals, network within the candidate’s company, and increase their knowledge of competitors. It may be helpful to develop a template for recruiting calls for functions beyond the qualification of applicants. For example, have you asked for candidate referrals? Have you asked about the team dynamics and organizational structure of your competitor? Have you leveraged that new knowledge with a proactive recruiting call to someone at the same company or industry? Sourcing for the Future: Great executive recruiters know that when they need a particular candidate, it’s too late to develop the right kind of relationship. Ideally, they look to form their relationships with candidates and clients well before the time of an urgent job order. In the “old school” thought of executive recruiting, the recruiter really serves as a professional networker – at the actual time of a job requirement, the executive recruiter is calling candidates with which they have previously established relationships. Clients of great executive recruiters may complain that they paid a 30% fee only to have the recruiter call their “golf- buddies.” However, this is when recruitment is actually operating at its highest level… the executive recruiter can leverage all of the inferences, personal knowledge, and requirements of a candidates to successfully negotiate and close the placement. Great recruiting should look easy. Application to corporate recruiting: One of the most challenging aspects of corporate recruiting is time management. The incoming requests, corporate meetings, and additional post-hire responsibilities take up a lot of time. Sourcing efforts then become last minute – each new job requirement becomes a new search. Instead of proactively building relationships for future recruitment efforts, corporate recruiting often becomes mired in immediacy. Compounding the problem are hiring managers that expect immediate results and heavy requirement loads. Proactive recruiting and relationship building with candidates that do not fit immediate needs is almost impossible for most corporate recruiters due to these time management issues. However, as a certain percentage of your salary should be allocated to a 401k, part of a recruiter’s time must be dedicated to building the future. Very much like the salary allocation, what matters most is the consistency of the effort and not so much the amount – your efforts compound like dollars. If you do not have any time set aside for proactive sourcing and relationship building, try to set aside 5-10% of your time. Your work will not effect short-term results, but over the long-term, your recruiting will be much more successful. These three principles of great executive recruiting can and should be applied to corporate talent acquisition and sourcing efforts. The core idea is to build long term recruiting success through effective time management, relationship based networking, and proactive, high-volume outbound recruitment efforts.